Why use an UNI-T UPO8102S oscilloscope to repair you phone? There many tools used on phone repair service, such as phone repair soldering iron, phone power supply and nand test fixture. except these tool, is there essential device for this work? yes, indeed, you need an oscilloscope to repair you phone. But, Why use an UNI-T UPO8102S oscilloscope to repair you phone? In the process of mobile phone repair, the oscilloscope is mainly used to detect the voltage and signal waveform of the key points on the main board (DC power suppply of each part of the mobile phone, 26MHz main clock, 32.768kHz real-time clock, IQ signal of intermediate frequency output, ect), which can be delineated. Range, quickly find the point of failure. 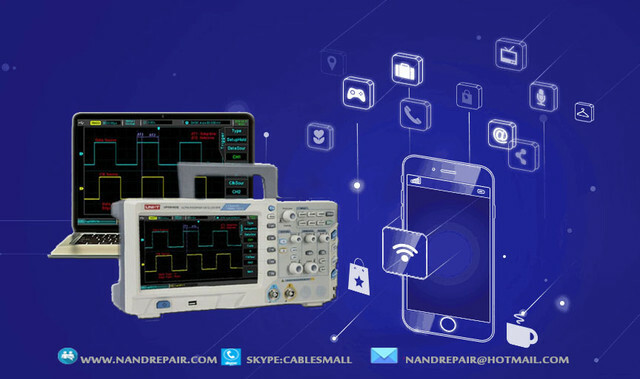 Therefore, the oscilloscope has been widely used in mobile phone repair. 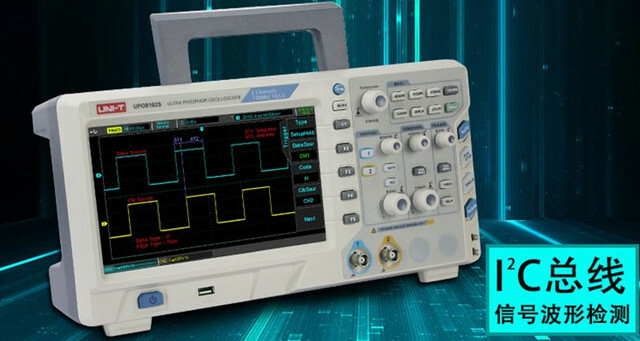 Because the oscilloscope looks at the complete waveform, it displays the voltage value from the lowest value to the highest value of the trajectory, so the measurement is often the highest value. The value measured by the multimeter is the average value, which is different from the highest value. For example, using a multimeter to measure the voltage of civilian electricity is 220V, which is the average. But when you look at it with an oscilloscope, you can see about 311V, which is the peak. That is the maximum. The multimeter has six and a half nine and a half, but it can only measure stable values. The advantage of the oscilloscope is that is has a large dynamic range, can monitor the time and frequency, can have a trigger signal, and can compare, capture, and store multiple channels.